Although the above distilleries are the only ones on the official trail, there are dozens of smaller ones that make for unforgettable experiences – including Buffalo Trace in Frankfort, Kentucky. Add them to the trail and experience them for yourself! HAVE YOU VISITED ONE OF THE DISTILLERIES ABOVE, OR COMPLETED THE KENTUCKY BOURBON TRAIL? 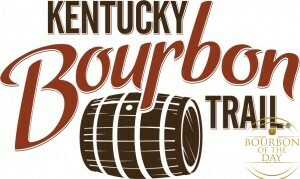 OR HAVE YOU TOURED ANY BOURBON DISTILLERIES OUTSIDE OF KENTUCKY? IF SO, TELL US ABOUT YOUR EXPERIENCES IN THE COMMENTS SECTION BELOW!